By saying that, I mean it in the most meaningful and caring way as I have fallen in love with a router. 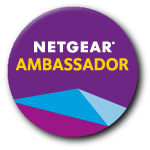 I am a very proud to be a NETGEAR Ambassador because prior to becoming one, I was a loyal NETGEAR user. Since our move into our forever home, we hadn’t updated our router. 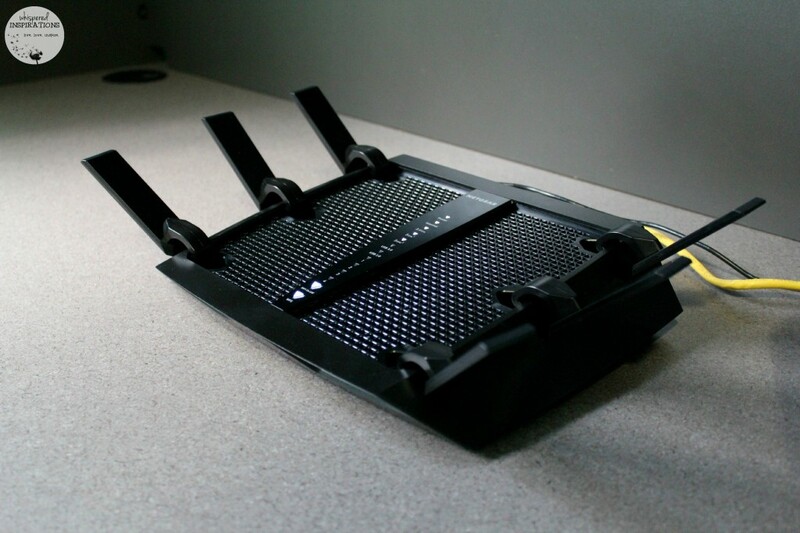 Since the NETGEAR router we had before was meant for smaller spaces, the challenge we faced in our new home was the Wi-Fi connectivity was limited and sometimes non-existent in certain areas of our home. The awesome router wasn’t meant for the much larger space we now owned. What does that mean? Even if the our router worked amazing in our old smaller space, that meant dead spots in our home now. For me, someone who works at home, it just wouldn’t do. 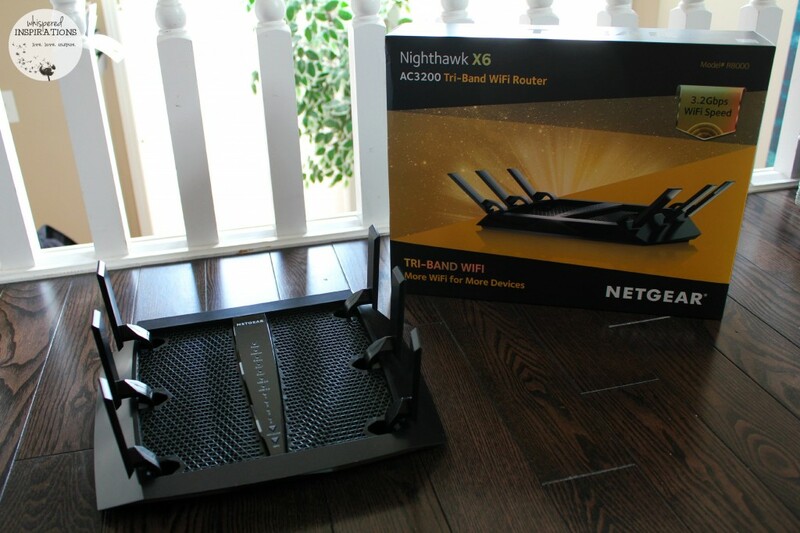 I was ecstatic when NETGEAR sent me a Nighthawk X6 Tri-Band, R8000 to try out and let me tell you, it is amazing! As many of you know, I am a self-proclaimed techie geek. I love and appreciate technology that makes life easier and increases your productivity or everyday activity. The Nighthawk has done just that for my family and I. Weight: 2.43 lbs (1.1 kg). The Nighthawk’s new home is in my office, since it has a 3.2 Gbps Wi-Fi speed and meant for larger homes, I felt comfortable setting it up there, even if it is in the farthest corner of our home. Not to mention, it’s Tri-Band Wi-Fi capable, if you’re not sure what that is, keep reading! A Tri-Band Wi-Fi provides 3 dedicated Wi-Fi bands, fast, faster and fastest. It caters to your devices depending on their capabilities. With one 2.4GHz band and two 5GHz WiFi bands to work with, the X6 has the capacity, flexibility, and intelligence to assign each device to the WiFi band where it can connect at its maximum possible speed. The result is that faster devices can connect and perform unhindered by slower or older devices—meaning ALL devices load, stream, and game at their maximum speed. I set up my Smart TV and computers to the 2.4 GHz band and all of my devices like our iPhones and tablets onto the 5Ghz WiFi bands. Since there are two available, we divided them up in between the two 5Ghz so that way, we would get maximum speed. This is a necessity for me. I need to have the customization and capability to create a private network that is protected. 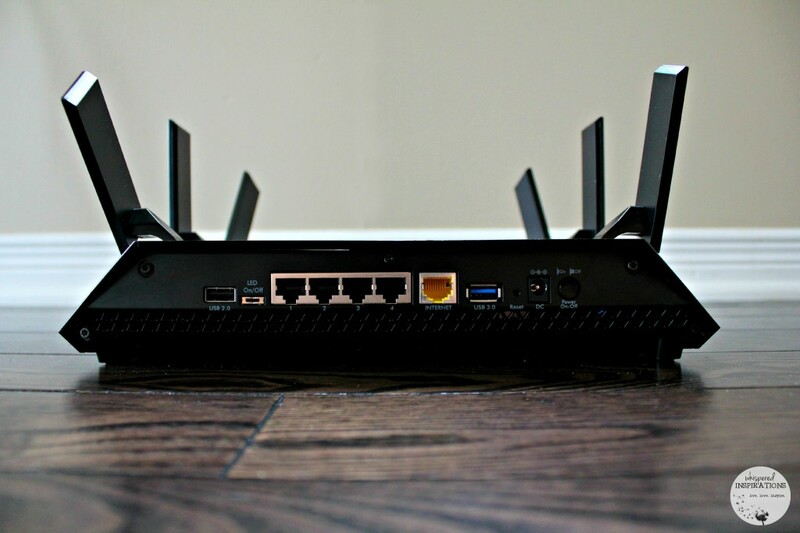 The Nighthawk R8000 comes with a customized free URL to set up personal FTP server, VPN support for secure remote access, Guest network access—separate & secure, WiFi Protected Access® (WPA/WPA2—PSK), Double firewall protection (SPI and NAT) and Denial-of-service (DoS) for attack prevention. I can rest easy that my network is private and not accessible to those who don’t have permission to use it. 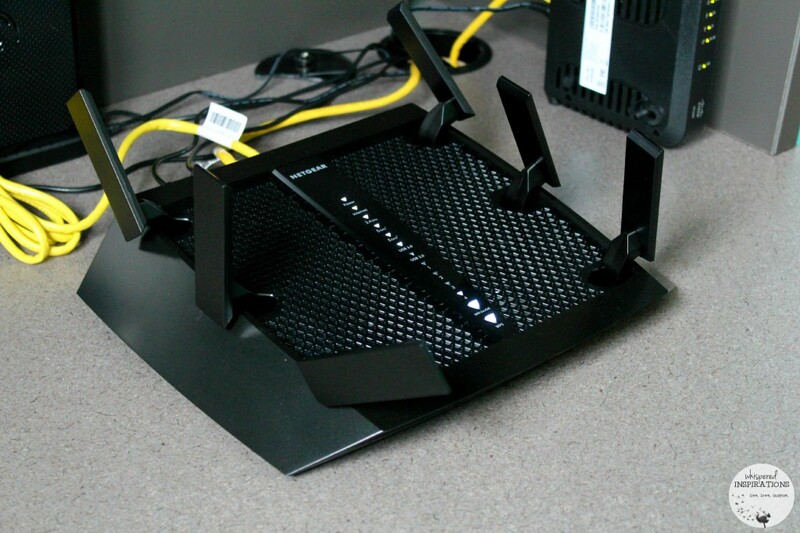 Notably, you can see the Nighthawk’s R8000’s 6 high performance external antennas. They aren’t just pretty or for adornment (though they really are nice to look at), they transmit strong WiFi coverage and performance anywhere in your home. 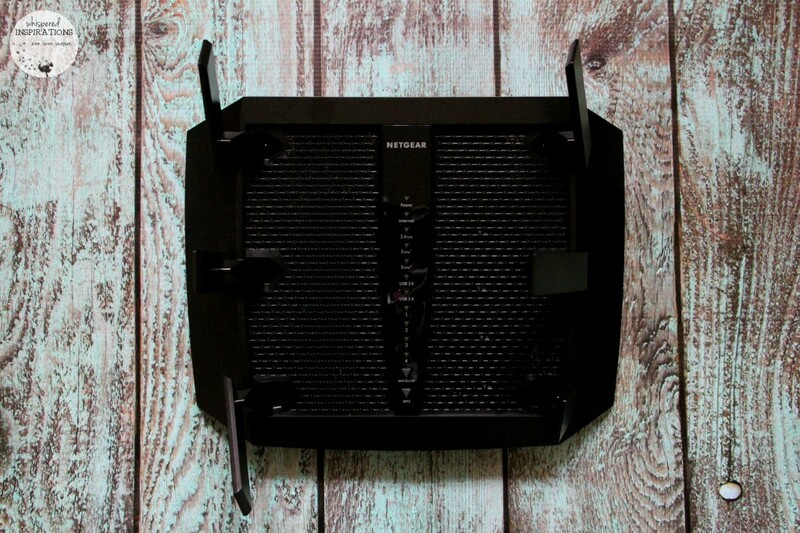 The 6 antennas deliver the breakthrough X6 Tri-Band WiFi and Beamforming+ focuses WiFi signals that will keep you connected throughout your entire home. This router has 5 Gigabit Ethernet ports, 1 WAN and 4 LAN (10/100/1000) and two USB ports. I tested this by heading outside in my back yard and front yard with my phone and I was still able to connect to my 5Ghz connection with no problem. Even sitting in my car in the driveway, I still had full bars! Not to mention, inside our home, we are all able to simultaneously stream, surf, play and work! All of this, without interrupting each other’s connection or productivity! So, now you can go on a Netflix binge and continue HD streaming to multiple devices thanks to powerful Tri-Band WiFi and features like Smart Connect and Beamforming+—it’s the end of buffering, jittery video, and lag as you know it. Magic in the palm of your hand or with a click of a mouse. Since the R8000 has the available ports, I hooked up my external hard drive and ReadyNAS (watch out for review soon) to it. I am not able to access all my devices through the NETGEAR Genie app on my phone and online. That means that I can be anywhere and access my files. To me, that is absolutely LIFE-CHANGING. For my job, I travel often and not being able to have all my files with me is a problem. But, not anymore! I also love that I can restart my router, right from my phone! Makes any printer AirPrint® compatible to print from an iPad® or iPhone®. MyMedia™—Find & play media files in your network. EZ Mobile connect—Scan QR code to connect to your home network. Let’s be honest, if you are going to give this for a gift to your husband, brother or your techie BFF who loves watching her Netflix, they will love you for it. It truly is a gift that keeps giving and it may even be great for you when you visit. Wink, wink! It retails for $299.99 and you can get it in some places right for $249.99, like Amazon, here . Here’s a few more specs that will blow your mind! WiFi Band 1: 600 Mbps @2.4GHz-256QAM. WiFi Band 2: 1300 Mbps @5GHz. WiFi Band 3: 1300 Mbps @5GHz. Smart Connect intelligently selects the fastest WiFi for every device. High powered amplifiers and six (6) high performance external antennas. Implicit & Explicit Beamforming for 2.4 & 5GHz. Memory: 128 MB Flash and 256 MB RAM. Customized free URL to set up personal FTP server. Guest network access—separate & secure. If you are looking for even more awesome tech for the home or office, make sure you head on over to NETGEAR . You’ll find great gift ideas there too. 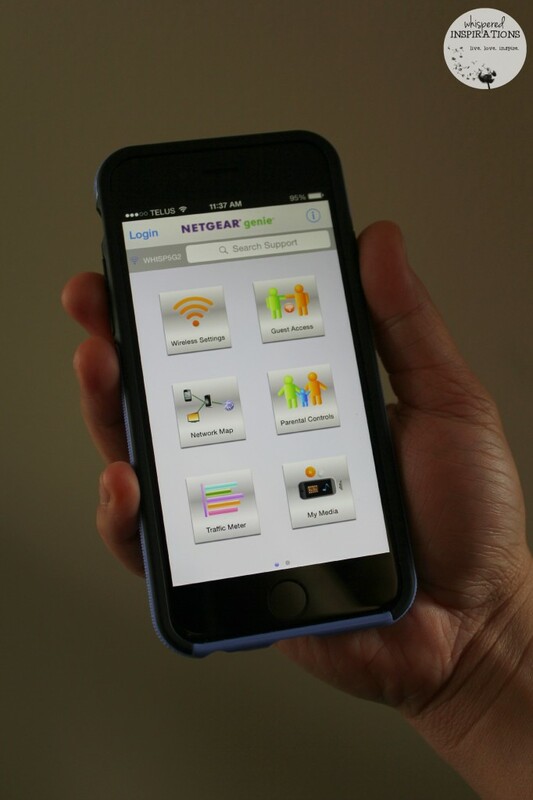 For the latest updates, you can find NETGEAR on Facebook or follow their tweets, here. 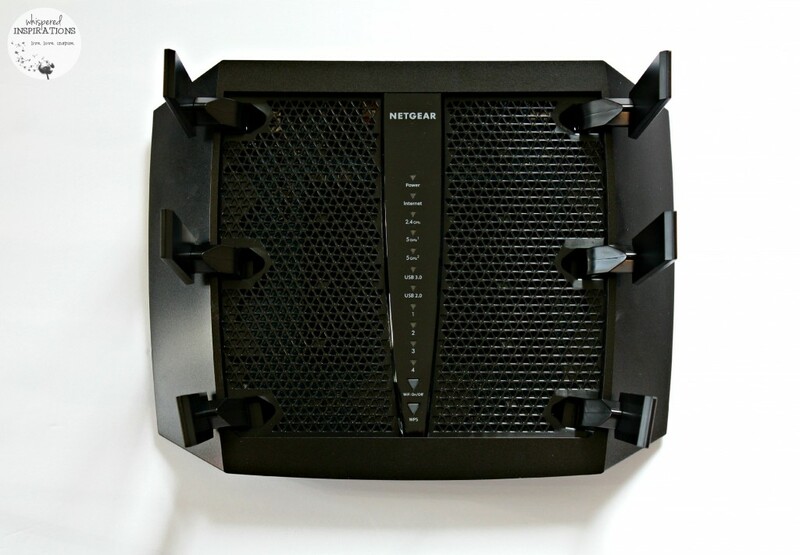 Who would you buy the NETGEAR Nighthawk R8000 for? The one that my provider gave me did not last in our house for more than a week. It just could not keep up. We had a NETGEAR for years, this one though, is AMAZING! That thing is amazing! We need a new WiFi point, and this sounds like the best one for the job. Thanks! That's one high tech looking router! I love that they have multiple bands. It is one of the best things ever, the difference is substantial. 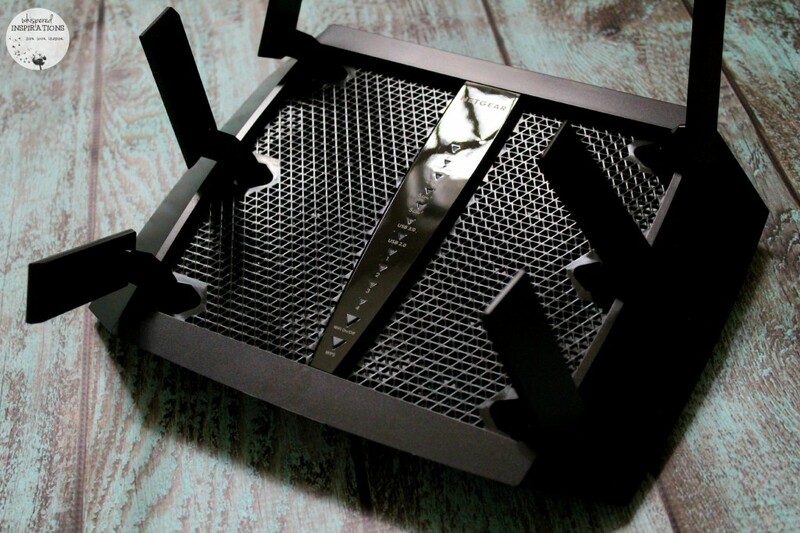 That Netgear Nighthawk means business! I could use this at our house. Love the blogger at work sign too. So cute. LOL, thanks. I love it too. Yes, it sure does mean business, especially for those with businesses at home. I need to upgrade my router as well. What a great looking router and performance sounds great! What a great system! I think it's got three different WiFi signals. Most homes have a wide variety of devices, and some are newer than others. Yes, I have most of our devices spread out within the signals of the routers. That way not one signal is specified for ALL of the connections. First off, I LOVE your door sign. Where in the world did you find that? and second — I need that router. Mine is about dead. What a sweet router! I am all about speed! Having a good internet signal is super important for me since I work at home online all the time. 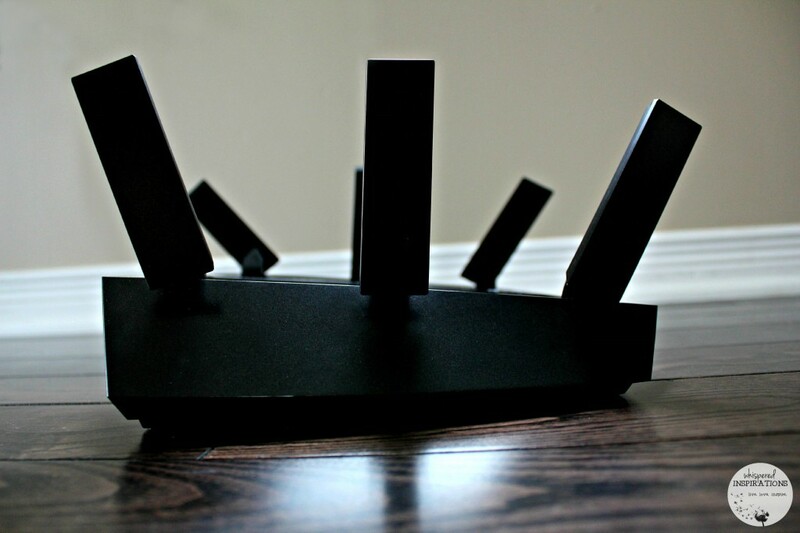 It is a great router to help you stay connected and enjoy multiple things at a time. I think this is something I really need to look in to! We have a router and whether it's the router itself or the service, we have a TON of issues. Maybe this beast will help with that? Yes, this beast will definitely slay your problems. I had a dead spot in my living room because the router was made for a smaller space. No longer! I love that sign, makes me chuckle. This is a very needed thing in my Home. Great Share. Thank-you, hope you like it if you get it! This looks like it could be the solution to our internet problems. We have a dead spot in our house. Ooooh, no one likes dead spots! That is a nice router! We are in need of a new one so I will have to check this one out! Definitely, hope it works for you! We NEED this. Both being gamers it is a necessity. If you are gamers, the multiple streaming will benefit you. Your connection would never suffer from multiple users and devices! This is such a great product, I love ours. Makes such a difference that's for sure! I go all over the house with my WiFi. I could so use a super reliable router like this. My Wi-Fi woes are no longer! That looks like an awesome device! I love that door sign. It is amazing! Sign always makes people chuckle! I love Netgear! 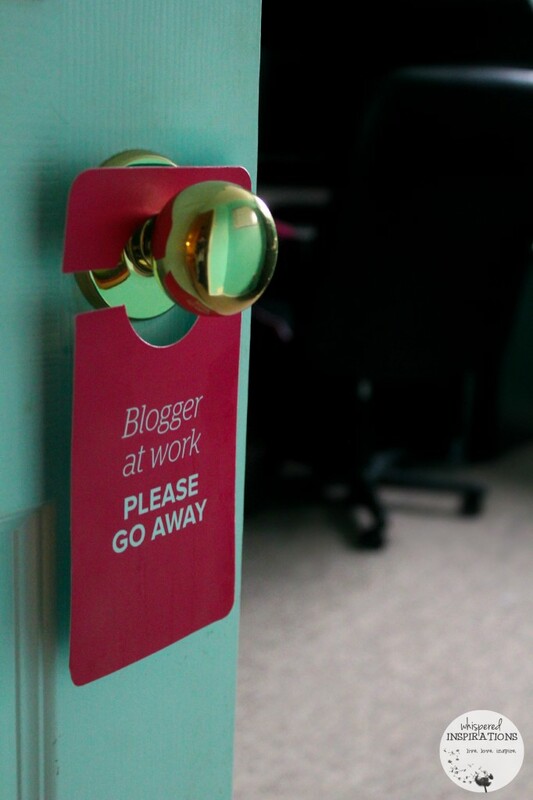 Also, I love your "blogger at work" sign, I need to get me a few of those! I have never personally used Netgear, but I have heard it is a great brand! It also looks nice and sleek, and I love anything that provides fast internet! With our job, we need fast Wi-Fi! Netgear is a great brand and I need a new wifi router here for sure. I will look into this, maybe at it to my wish list! NETGEAR is definitely an amazing brand with quality products, this one is a beast! This looks like a great router. I have a few spots in my house that cannot connect. I will have to try this one. You will absolutely love it if you do! Wow, I'm adding this to my wish list! I'd love to order one for my home. This sounds amazing! We have some dead spots with our current one so I think I really need to check this one out! Thanks for the review! This will work for you for sure!